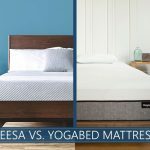 Home » Buyer's Guide » How Often Should You Flip (Rotate) Your Mattress? If you have any long-term habits involving maintenance of your beds, flipping your mattress is undoubtedly amongst them. Of course, that always happened after a gentle reminder from your wife or mother. However, have you ever stopped to think about the reasons for which you’re doing this? We’ve been told that it’s an important aspect of proper maintenance and enhanced maintenance, but is it so? Hasn’t technology advanced enough so that we can rely on beds that don’t require heavy lifting to maintain? Let’s find out. What Type of Mattress Need To be Rotated and Flipped? How do I flip my mattress? Some models need to be rotated now and then because by doing so, you would even out the overall wear and tear that the bed is subjected to. This is not only going to prolong the overall usability period, but it would help you keep your spine in a rather neutral alignment. This is a critical aspect of getting a night’s sleep that’s good and relaxed. It’s also playing an important role in the prevention of wake-ups through the middle of the night. On the other hand, flipping the mattress requires you to turn it on its other side. There are certain older beds which require this. Typically, innerspring models which have no pillow top could be flipped to enhance their prolonged performance as they're going to wear out as time passes. Which is Better: Rotating or Flipping? There is no one-off answer to this question. The truth is that there are different types of mattresses which would benefit from both procedures in different ways. For instance, if you have a pillow top model, it wouldn’t be subjected to flipping at all. Instead, you can even out the wear by rotating it. The same could be said for other types. To put it in a nutshell – different models would benefit from different procedures, depending on their overall material compositions and constructions. This is something you’d have to account for, and the instructions are usually given by the manufacturer. Also, keep in mind that the majority of the new beds shouldn’t be flipped at all. Once again, you’d have to understand that there are so many different materials as well as combinations which are used in the production of a mattress that it is impossible to give a one-off answer to a question of the kind. In any case, most of the brands recommend that you should rotate or flip the bed anywhere from once every three months to once a year. The main point in these exercises is based on the overall durability and reliability of the bed – the less reliable it is – the more you’d have to flip it so that you can maintain its integrity. This is an interesting question and one that needs to be addressed properly. You can flip mattresses which are double-sided. These are models that can be used on both of their sides. There are also beds which are intended to be used on one side throughout the colder months and the other throughout the warmer periods. On the other hand, you’d normally rotate models which can’t be flipped. These are, as we mentioned above, models which combine innerspring with a top comforter layer of any kind. Obviously, you wouldn’t be able to flip them so rotating is the only option. There are specific instructions on that tied to each mattress which could be flipped. Nevertheless, the process is fairly straightforward. You pick it up, and you put it back on the frame with the opposite side facing upwards. Of course, if you don’t feel confident enough, you should always call for help. This is something quite important. In any case, make sure to do so gently and slowly to prevent any rips and tears on the bed as it would be quite counter-productive. It is best to plan the rotations at least for the entire current year – you can map them out on a calendar easily. Having to lift a heavy mattress is challenging. 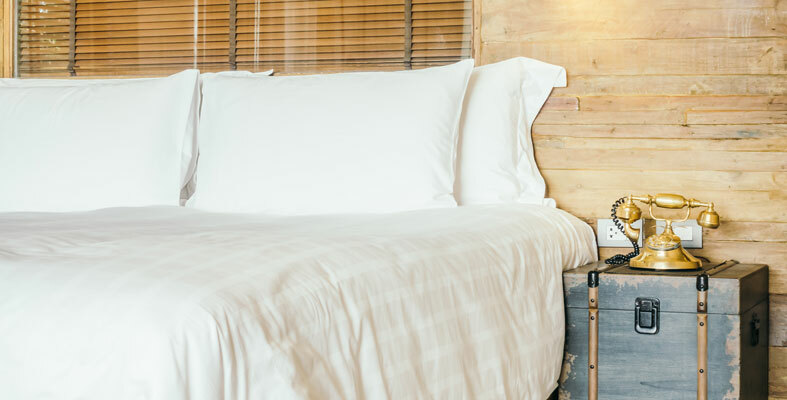 What is more, you’d probably have to move the nightstands away from your bed as you’d need the extra space. The idea of this activity is for the mattress to take a 180-degree turn without flipping surfaces. That’s pretty much it. We’d recommend that you do so with a partner. Heavy models are tough to flip and even tougher to rotate, especially if you have no one to help you out. We are seriously against handling this on your own as it could hurt your back quite a lot, especially if you are in no physical condition to handle this easily and on your own. 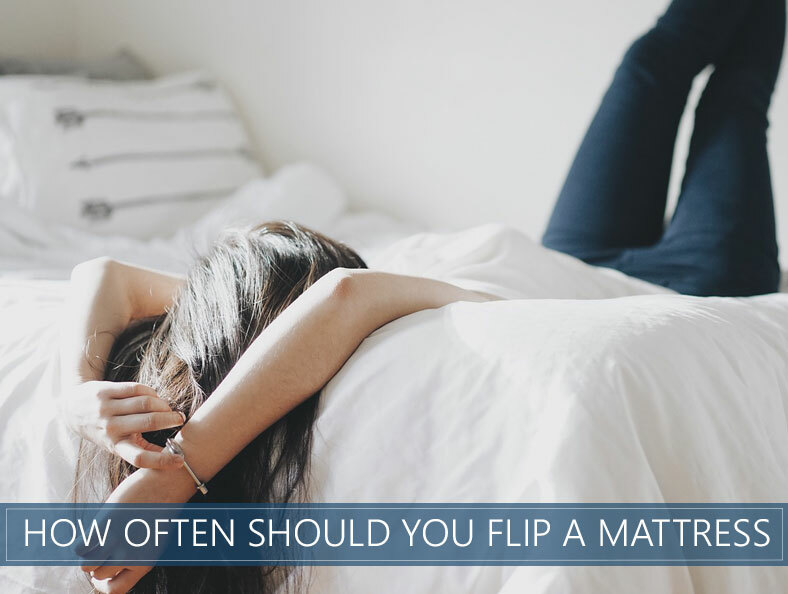 With all this being said, flipping and rotating a mattress is a necessity that most of us have to go through. Before you do so, though, make sure that your bed requires it as if it doesn’t – all of that sweat and effort would have been in vain. Also, it is always advisable to get a friend to give you a helping hand as it could otherwise cause you some pain. 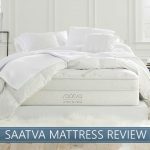 Our Saatva Review for 2019 - Are There Valid Complaints Out There?